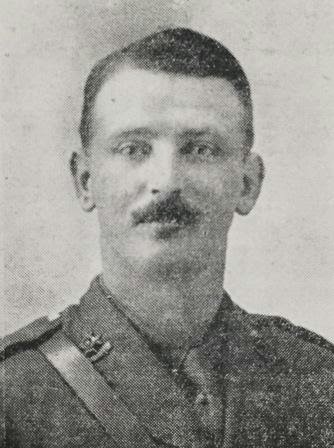 Friday 2nd April 1915: The news has reached Bedford that Lieutenant William J W Nicholas, the second son of Mr William Nicholas of Park Avenue, Bedford, is among the passengers missing from the civilian ship Falaba which was torpedoed by a German submarine last Sunday. The Falaba left the port of Liverpool on Saturday evening bound for West Africa, carrying 147 passengers and 95 crew. She was torpedoed by a submarine, which first whistled three times for the Falaba’s boats to be launched. The first boat was sunk, either by a torpedo or a shell, the second and third capsized, and only one boat, carrying fourteen men, got away. The trawler Eileen Emma of Lowestoft was close to the submarine when the torpedo was fired and saw it strike the Falaba in the engine room. The ship sank quickly, throwing the passengers into the water. Witnesses stated the submarine circled the sinking vessel, with her crew laughing and jeering at the drowning men. Eileen Emma picked up 116, including eight dead – among them Captain Davis. Another steam drifter, the Wenlock picked up six alive and two dead and a third, the Orient II picked up the fourteen men from the lifeboat. British merchant vessels had been ordered to paint over their names and fly a neutral flag. In response Germany had declared the waters surrounding the United Kingdom a war zone in which any merchant ship could be immediately destroyed. One of the passengers who died was American mining engineer Leon Chester Thrasher. The “Thrasher incident” and the death of so many civilians led to an outcry which came close to bringing the USA into the war. However witness statements to the effect that the submarine, U-Boat U-28, had given Falaba sufficient warning to allow it to offload passengers but that the Falaba had used the time to radio the position of the submarine to British patrol ships, averted the diplomatic incident. Lieutenant Nicholas’s death was subsequently confirmed, and on Monday 26th April his father received news that his son’s body had been washed ashore at Lelant near St. Ives, Cornwall. An inquest was held at Lelant and Lt. Nicholas was buried at his father’s birthplace, Calstock in Cornwall, alongside his mother and younger brother, who ironically had also died by drowning.